Comedy @ Hog's Head, Sowerby Bridge - I want a comedy night! By Tuesday 27th December a lot of us will be suffering from ‘cabin fever’ brought on by spending far too much time with drunken uncles and the same old repeats on the telly. Fortunately, Hog’s Head Brew House in Sowerby Bridge have the perfect antidote with their first ever evening of live, stand up comedy! 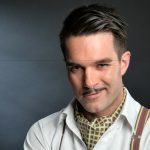 Character comedian Troy Hawke engages with the 21st century like someone who has spent the last forty years in suspended animation. Whether recounting an afternoon at the football with ‘the chaps’ or engaging in ‘audience badinage’ with the front row you can be sure the laughs will come thick and fast! 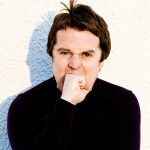 Star of BBC’s ‘Impractical Jokers’ and ‘Russell Howard’s Good News‘, Paul McCaffrey has drawn comparisons to the late, great Tony Hancock in addition to gaining wholly unequivocal approval from none other than Frank Skinner. Jenny Collier is the middle spot for the evening and 2014 Edinburgh Fringe Comedy Awards Panel Prize Winner Phil Ellis comperes. Advance tickets are £10 each from the Hog’s Head or book online now by clicking here. Admission on the night will be £12 assuming there are tickets left. Acts subject to change. Fully seated. Strong language and adult themes. We want all our customers to ahve a great night so we ask that you turn off your mobile and refrain from talking once the show is in progress.